The UAE Pavilion at the Riyadh International Book Fair has been very well received by visitors, drawing large crowds who have enjoyed an array of activities organized by 18 Emirati cultural institutions. Set to welcome visitors until March 24, the UAE pavilion at the fair features a dynamic blend of traditional and contemporary design and highlights the strong cultural bilateral ties between the United Arab Emirates and the Kingdom of Saudi Arabia. Over the course of the fair, the pavilion will play host to a series of poetry evenings organized by the Emirates Writers Union, the Poetry Academy and the Sharjah Book Authority. The programme will also include two seminars on the publishing industry in the UAE courtesy of the Emirates Publishers Association, taking place on March 21 and 23. Additionally, the Sharjah Book Authority will hold a symposium on March 18 featuring Emirati authors Abdulla Al Nuami and Fathiya Al Nimr. The pavilion has a truly diverse offering in store to suit visitors of all ages. Children in particular will have no shortage of engaging activities to participate in, including interactive competitions and educational programs presented by Nat Geo Kids and Majid TV channels as well as complementary gifts for the fair’s younger visitors. The Emirates Youth Council will also run activities until March 19, including children’s storytelling sessions and drawing workshops. TV programme "IftahYaSimsim" will also hold storytelling sessions complete with visitors’ favourite characters who are set to make appearances during the last five days of the show. In the days to come, the UAE Pavilion will also host book signings for a number books, including “Adam” by Shaima Al Hosani, “Ladies of Evangeline The Upheaval” by Alia Al Hazami, “Salvaged” by Omar Al Owais and “The Life and Times of a Ruler” by Murad Abdulla Al Balushi. 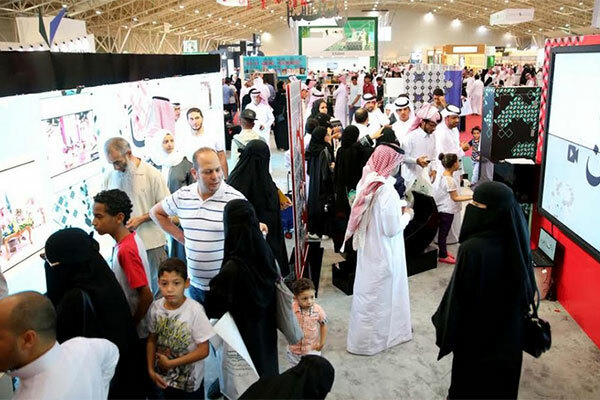 During the first three days of the fair, the pavilion saw many a book signing take place, for literary works such as “Calling All Hearts” by Dr. Hamad Al Hammadi, “I Do Not Want this Tale to End” by Sultan Faisal, “Dengwan” by Abdulla Al Nuaimi as well as Dr Fatima Al Braiki’s guide to creative writing.